Tallie's 4th birthday is looking mighty fine with the pink and yellow touches throughout her circus-inspired fete. 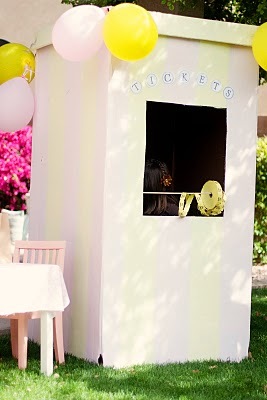 Check out that sweet 'ticket booth' made from a refrigerator box! All this and more at TomKat Studio. (You might want to check out a recent firetruck party while you're there!). 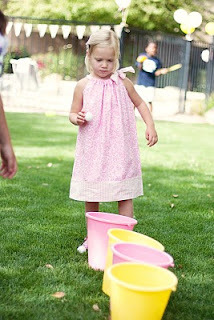 very cute and an original colour sheme!! 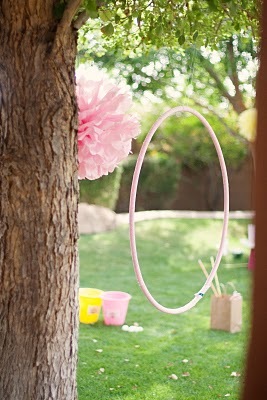 Fun and festive...love it. Kim at Tomkat does it so well!